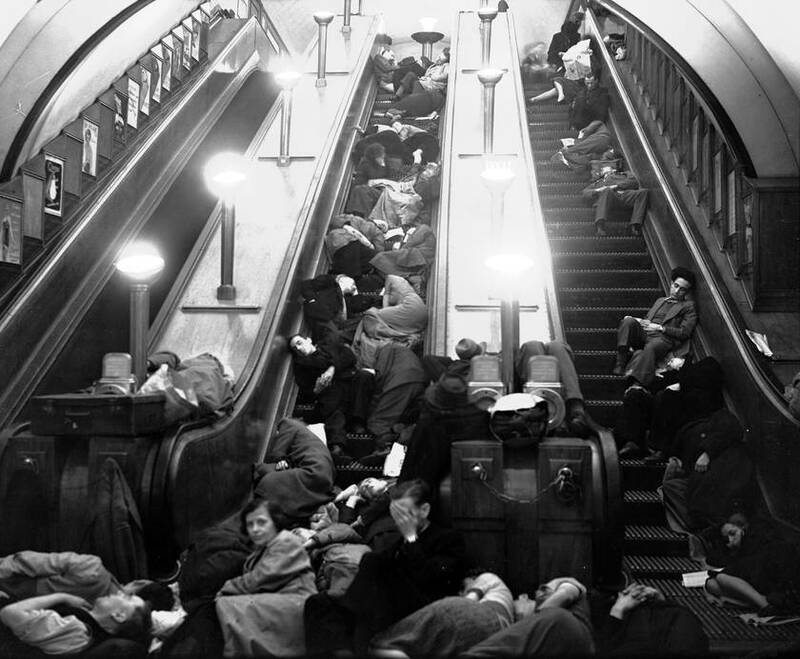 If you're tired of spending your morning packed liked sardines with your fellow commuters, be glad you're not staying the night to avoid the bombs of World War 2. 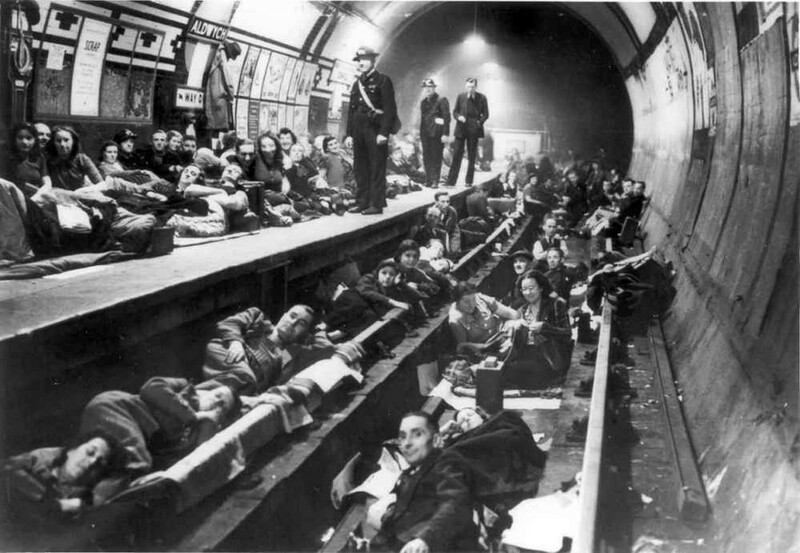 Though originally intended to take only those caught away from home when the air raid siren sounded, tube stations became a popular choice of air raid shelter for many people. Staying deep underground made a lot of people feel safer than being in a home-made Anderson shelter, while being surrounded by other people provided welcome reassurance. 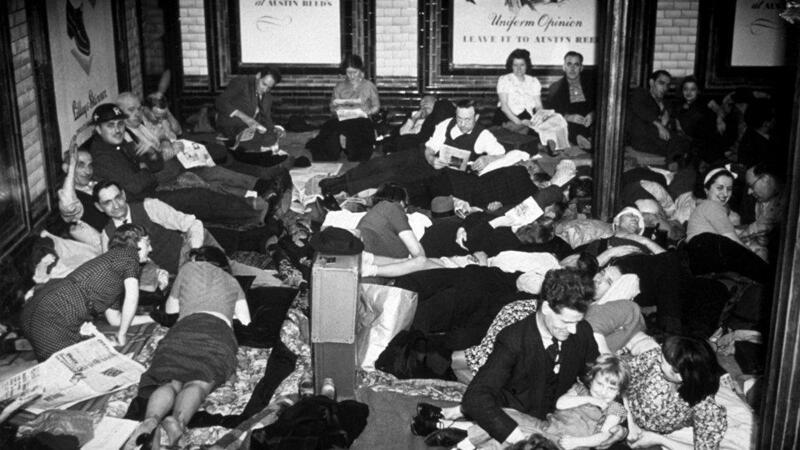 In the afternoon, when the trains were still running, people armed with bedding and food started arriving to reserve the best spots. The stations eventually got so crowded that the government decided to close the Aldwych branch of the Piccadilly Line. Thousands of bunks were built for civilians, as well as chemical toilets. Food and coffee were provided, and wardens were employed to keep the order. To pass the time, people would gather for games of cards or play gramophone records, while teachers would give lessons to children. But sheltering underground came with its own hazards, with claustrophobic conditions and panic stampedes of people taking shelter. 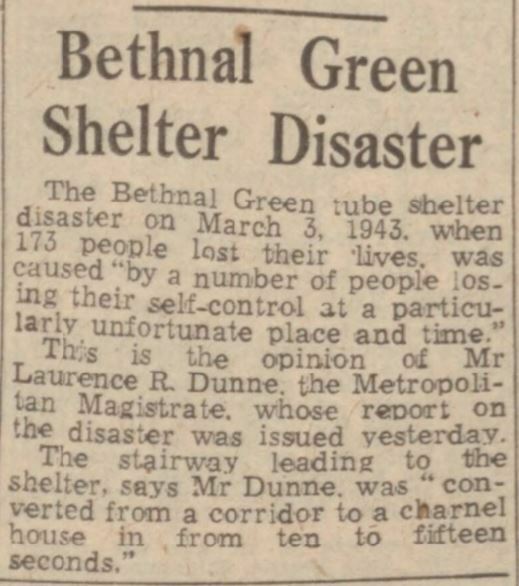 One of the worst events occurred as the siren sounded one rainy day in 1943, when a woman slipped on the steps at Bethnal Green station and fell, causing a man to trip over her, which led to a mass of people tripping and falling down the stairs. 173 people were killed.